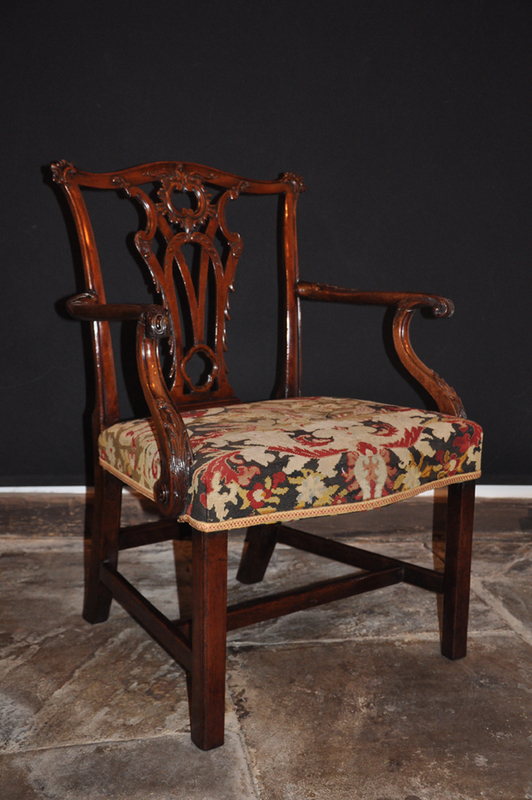 An exceptional 18th Century Chippendale Desk Chair. 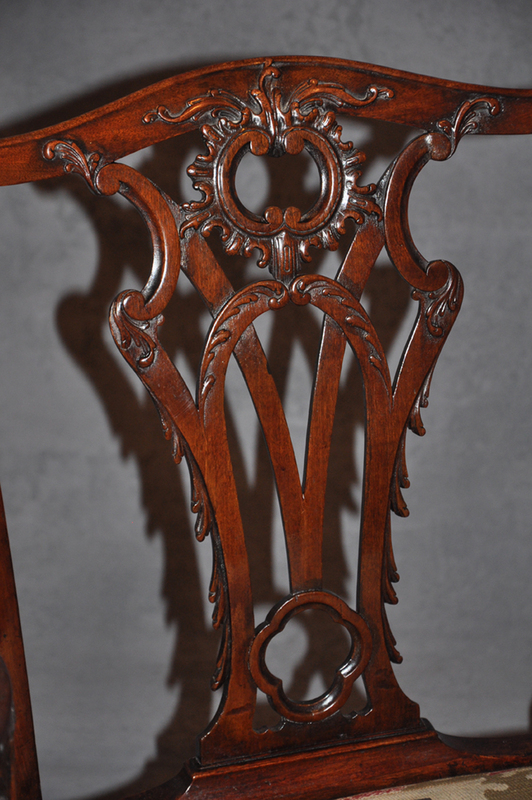 The quality of the carving along with the superb S scroll shape of the arms and the overall look and proportions make this chair one finest examples we’ve ever seen. 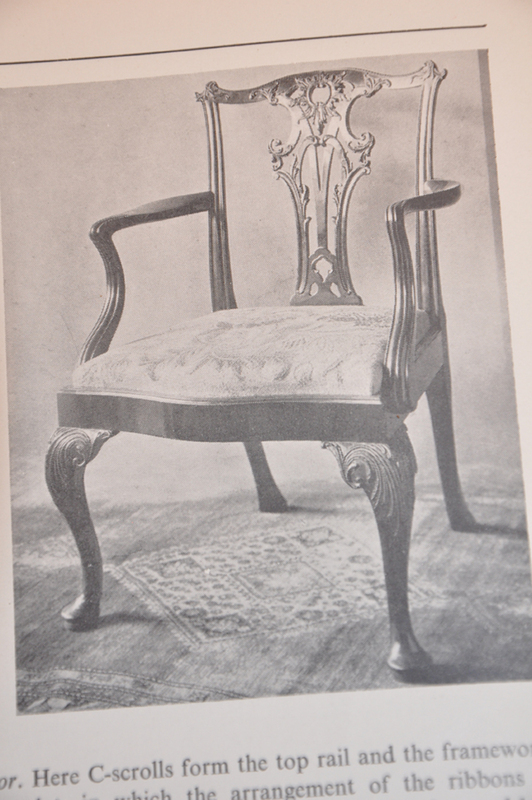 The chair is very much in the rococo style that was fashionable from 1730 to 1770. A very similar example can be found in the V&A Museum. The design of chair back can be found Chippendales Director, 1754 plate 12. 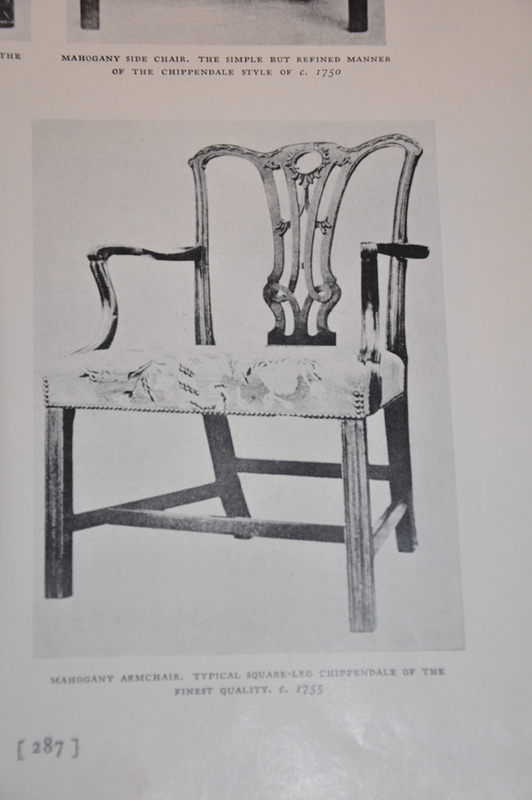 Similar examples can be found in various books including The Dictionary Of English Furniture (see Images). 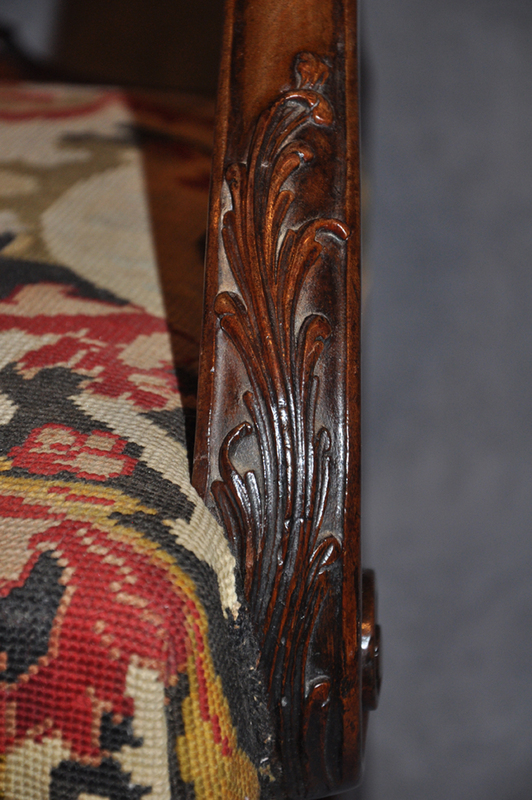 The only repairs of note on this chair are at the base of the legs where approximately 4cm have been added to each, However you have to look hard to see them as the work is neat and the colour has recovered well to match the rest of the chair.